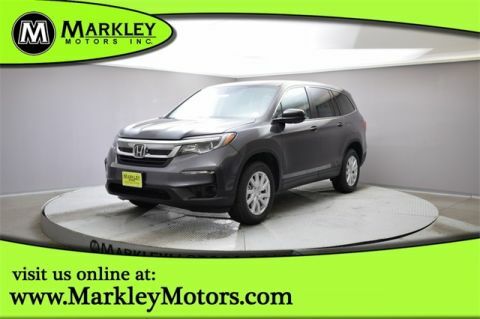 Smart, ultra-efficient, and ready for all of your family's adventures, our Certified 2017 Honda Pilot EX-L AWD shown in Crystal Black Pearl is ready to impress you! Powered by a 3.5 Liter V6 that offers 280hp while paired with a reliable 6 Speed Automatic transmission for smooth shifts and quick acceleration. 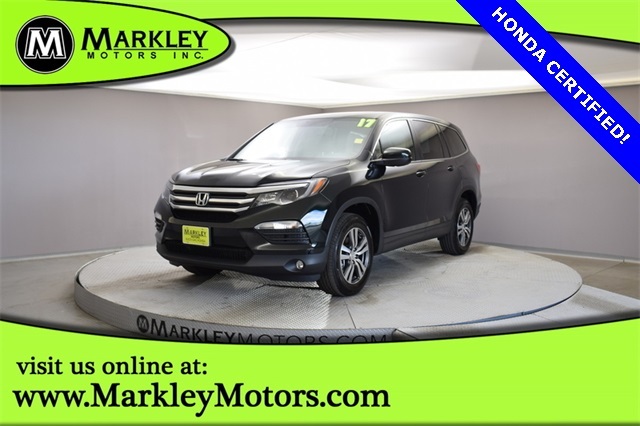 This sure-footed All Wheel Drive SUV can handle anything mother nature has to offer while delivering a smooth and comfortable ride and rewarding you with nearly 27mpg on the open road. Our EX-L is sporty and eager to please with its distinct grille, LED daytime running lights, fog lights, a power tailgate, and gorgeous alloy wheels. The spacious and well-thought-out cabin of our EX-L has premium features and plenty of room for 8 and all their gear, so everyone can join in on your adventures. Remote engine start, smart entry, a 60/40 split folding third-row seat, tri-zone automatic climate control, a sunroof, leather-trimmed seating, and power adjustable heated front seats help to set the stage for happy travels. You're never far from the information you need thanks to our prominent central display, Bluetooth, HondaLink, Apple CarPlay/Android Auto, SMS text message function, and a fantastic sound system with available satellite radio and Pandora compatibility. Practical, efficient, and versatile, our Honda is certainly a smart choice. 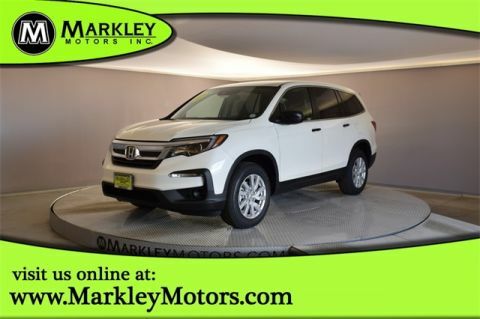 There's more good news - it has also received excellent safety scores with Honda LaneWatch, a backup camera, advanced airbags, and a tire pressure monitoring system among other safety features. You need transportation that's as versatile as you, so climb inside our Pilot today. Print this page and call us Now... We Know You Will Enjoy Your Test Drive Towards Ownership! We Value You As A Customer And Look Forward To Showing You What The MARKLEY DIFFERENCE Is All About. We've Been In Business For 82 Years For A Reason! Call Us Now At MARKLEY MOTORS At 1-970-226-2213. USED VEHICLES MAY BE SUBJECT TO UNREPAIRED MANUFACTURER RECALLS. PLEASE CONTACT THE MANUFACTURER OR DEALER FOR THAT LINE MAKE FOR RECALL ASSISTANCE/QUESTIONS OR CHECK THE NATIONAL HIGHWAY TRAFFIC SAFETY ADMINISTRATION WEBSITE FOR CURRENT RECALL INFORMAITON BEFORE PURCHASING.